DOMINATOR® Track Systems are designed to fit nearly all common passenger vehicles up through the full-size ½ ton series, and also some of the ¾ ton and 1 ton series vehicles, with 4, 5, 6, 7 or 8 bolt hubs. 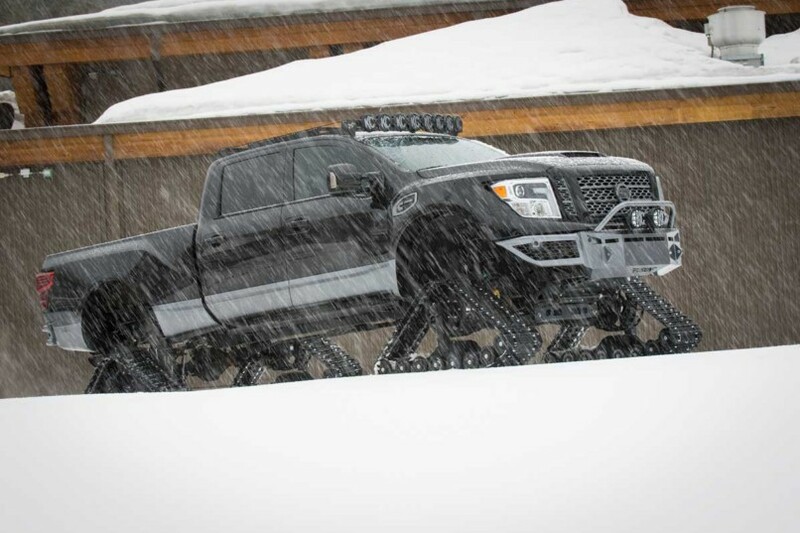 Although Dominator Track Systems can be used year round, and in almost all types of terrain, their primary purpose and best performance is in snow, slush, ice, marsh, swamp, wetlands, or similar terrains, which require exceptional floatation and traction. In most cases Dominator Tracks install in less than one hour with no other modifications necessary to the vehicle. The tracks may then be removed just as easily, restoring the vehicle to its original state. Dominator Tracks move almost effortlessly so even the smallest engines have no trouble powering them. This is accomplished with our exclusive design which minimizes resistance and drag allowing nearly all of the engine’s power to transfer directly to the ground. Dominator Tracks are practically maintenance free, allowing convenient and reliable operation in even the worst weather conditions and most challenging environments. Dominator frames are fabricated from T-1 grade steel providing superior strength with minimal weight. 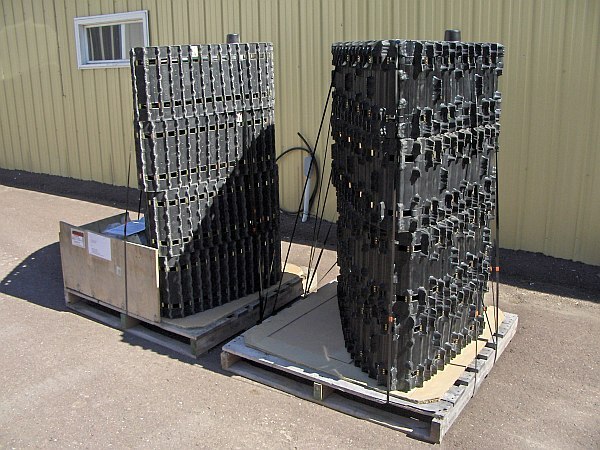 Our special drive drums utilize a self-cleaning design which prevents ice and mud from accumulating. Bolt patterns can be changed at any time by using adapters, so you can easily swap one track system between multiple vehicles. 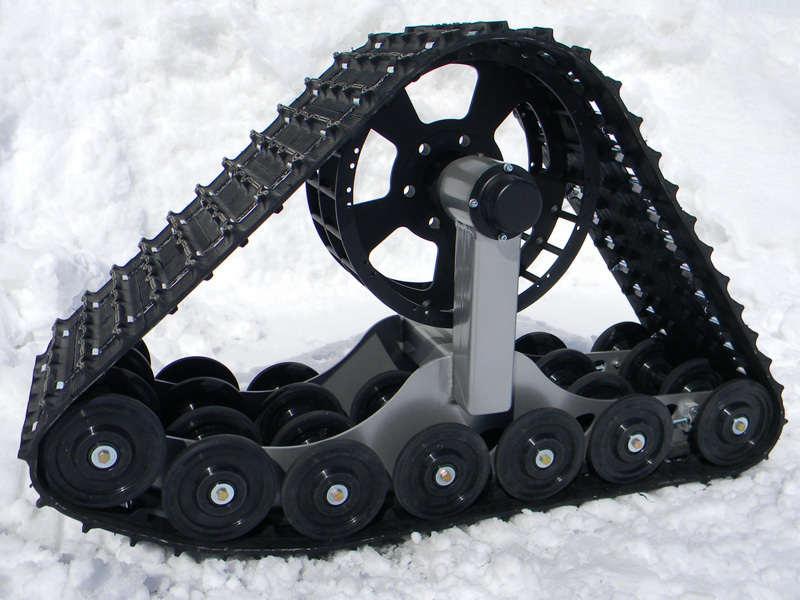 Dominator Tracks are designed for use in snow, slush, ice, marsh, swamp, wetlands, and even on dry ground, asphalt, gravel, etc at lower speeds. 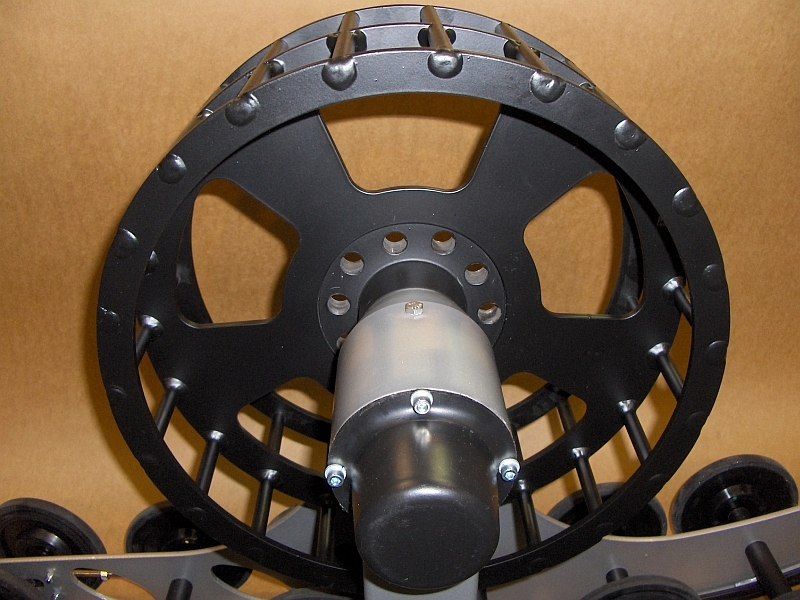 Dominators are the lightest tracks on the market at about 175 lbs each, allowing for easy one-person installation. Dominators provide excellent floatation, reducing the vehicle’s ground pressure to less than 2 pounds per square inch, making it nearly impossible to get stuck, even in the deepest snow. 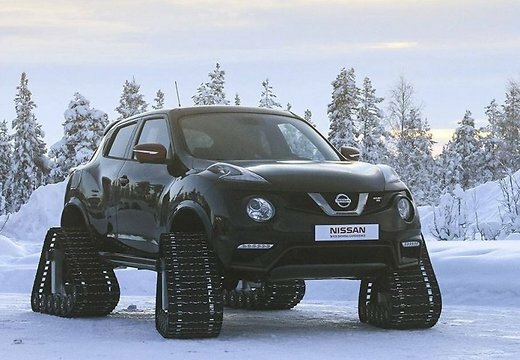 Plus, Dominators will add ground clearance to your vehicle by an average of 6" to 9” depending on the height of your original tires. Dominators will raise any vehicle to 21” at the center of the hubs, basically the same effect as 42” tires would have. 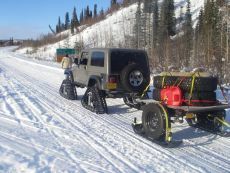 Dominators use the highest quality snowmobile tracks, bogie wheels, and hyfax slides. These snowmobile industry parts hold up very well on the Dominator Track Systems. For instance, we often see rubber tracks which have logged thousands of miles show only minimal signs of wear—they still look like new. And many customers have driven over 10,000 miles before needing to replace even one track belt or bogie wheel! All of our metal components (frames, rails, axles, spindles and drive drums) are made from high quality American steel, fabricated here in Northern Michigan. These parts are designed to last a lifetime and are unlikely to ever need replacing. And these parts are protected by a powder coated finish to provide years of corrosion free service.